Applying for a small business loan? Small business loans are not the only option! Most business owners turn to banks and financial institutions for business loans (typically secured small business loans). 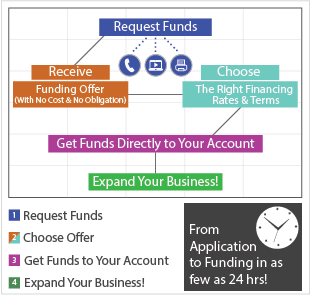 For "start ups" this is usually the best option - but for existing businesses in need of financing, there is an alternative to small business loans; A business cash advance! Small Business Loans Can Be Difficult! Small business loans are not easy to obtain as banks demand collateral, good credit and detailed financial reporting (including tax records and proposed planning for requested financing). The approval process for a business loan is long and may not be suitable for small businesses in need of quick financing (due to unexpected circumstances or a sudden drop in receivables). Many times, existing small businesses seeking loans have already extended their credit with the banks and may need financing to maintain or consolidate credit cards, start-up loans and other repayment amounts (possibly taxes). Business cash advances work well to deliver needed financing when small business loans can't! 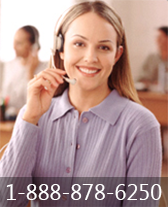 Why Choose a Small Business Cash Advance Over a Loan? Available to businesses with bad credit. No business plan / proposal required. Unsecured - No collateral required. Funded quickly (Approval in less than 24 hours). Flexible repayment terms (no fixed monthly repayment amounts). Be approved for small business loan financing up to $250K today!